Lettering commissions are the best. I've had the honor of being asked to do lettering for some fun causes and events. Any opportunity to practice and develop my lettering skills is an awesome one! 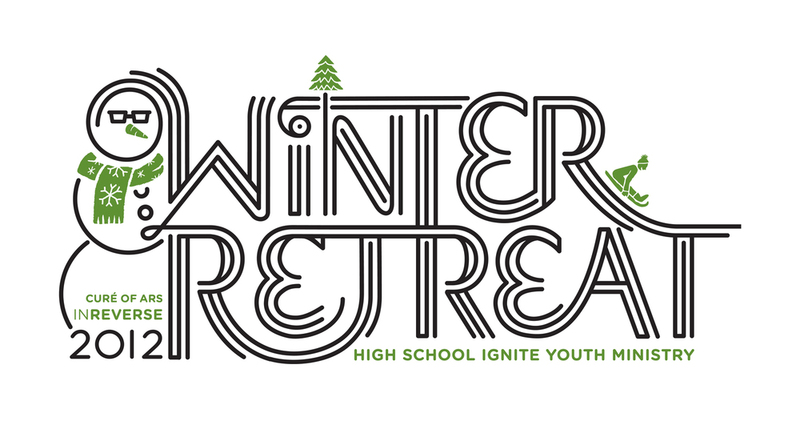 Over winter break, I was asked to create fun lettering for a youth retreat. I limited myself to making it stroke-based, while exploring the connections between letterforms and incorporating small illustrations. I was also recently asked by the Student Government Association to draw vine-inspired letters for their environmental initiative, Green Week. 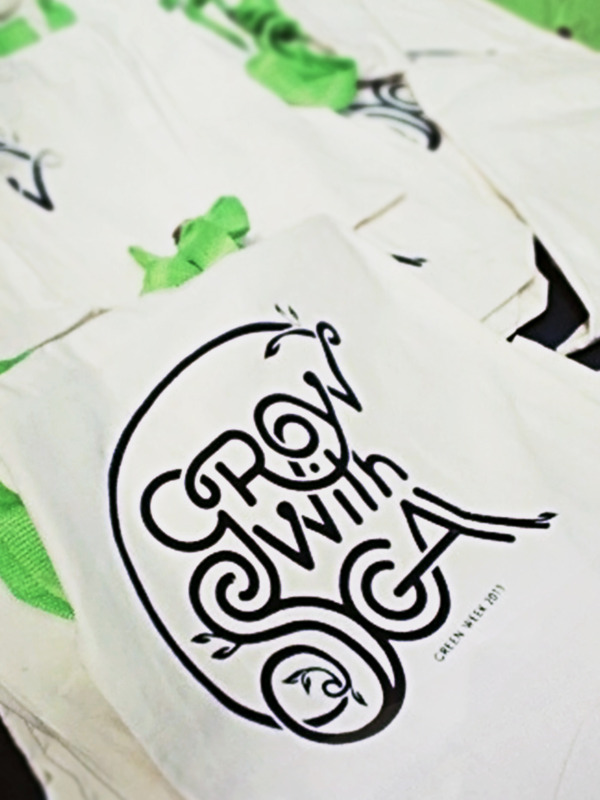 The design was screen-printed onto earth-friendly bags, which students could exchange for 15 plastic bags to recycle. It was a great idea on their part, and it's awesome to be a part of it — and to see my letters around campus! Once again, I enjoyed exploring connections between letters —particularly that R-O-W! — to create an image. I was asked to do lettering for a winery as well, for a wine label inspired by my "rodeo" sketch here. It was cool to see a lettering sketch I did for fun turn into a real, applicable design!